Terryberry’s Recognition Reel creates a personalized mini-movie on your employee’s anniversary, featuring recognition highlights over the course of the employees’ career. Service Anniversaries will never be the same! Nothing! 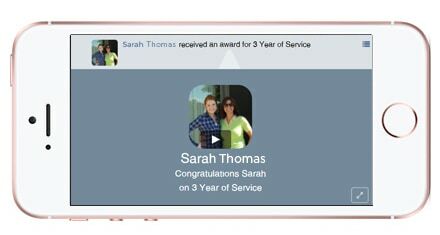 The Recognition Reel is a free, included feature of Terryberry’s service awards module in the 360 Recognition Platform. If you don’t have a service awards program with Terryberry yet, don’t worry; getting started is simple, and the 360 Recognition Platform is very affordable (learn more about 360 Recognition pricing). Contact us to get started or request a demo. 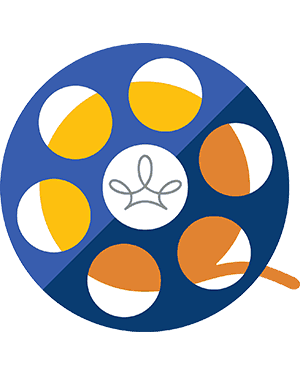 The Recognition Reel builds personalized mini-films that showcase an individual’s career achievements and successes. Using messages of appreciation from peers and managers, it creates a presentation that is personal, relevant, and meaningful. The Recognition Reel makes service anniversaries and career milestones special and memorable. » Requires no additional effort from administrators or managers! The Recognition Reel uses recognition notes sent through 360 Recognition that highlight an individual’s body of work. These are compiled into a Recognition Story Film, which is delivered on an employee’s service anniversary.